We received a troubled phone call from a woman the other day. It seems that her maid service dripped bleach on her carpet and they were discussing the costs of having that maid replace the ROOM full of carpet. Wait a minute!!! “You don’t need to replace the entire room just because of some bleach stains” I cried. 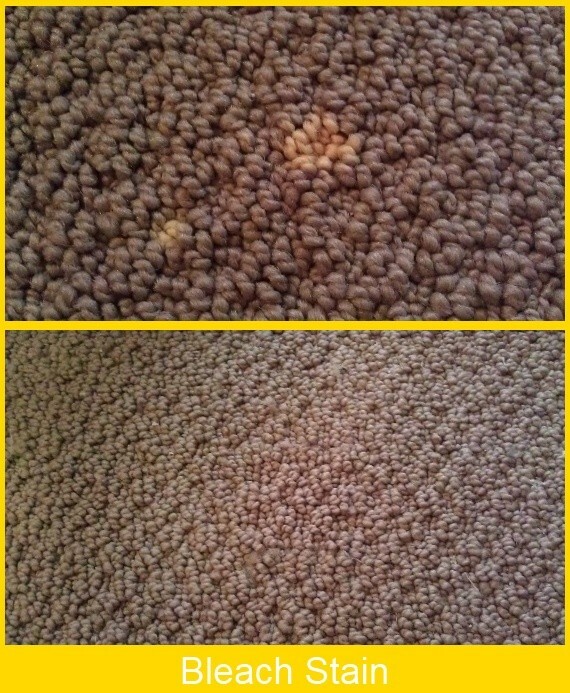 She couldn’t believe her eyes when she looked at where the stains used to be and found nothing but perfect carpet again. Bleach stains? Yea, we can fix that.